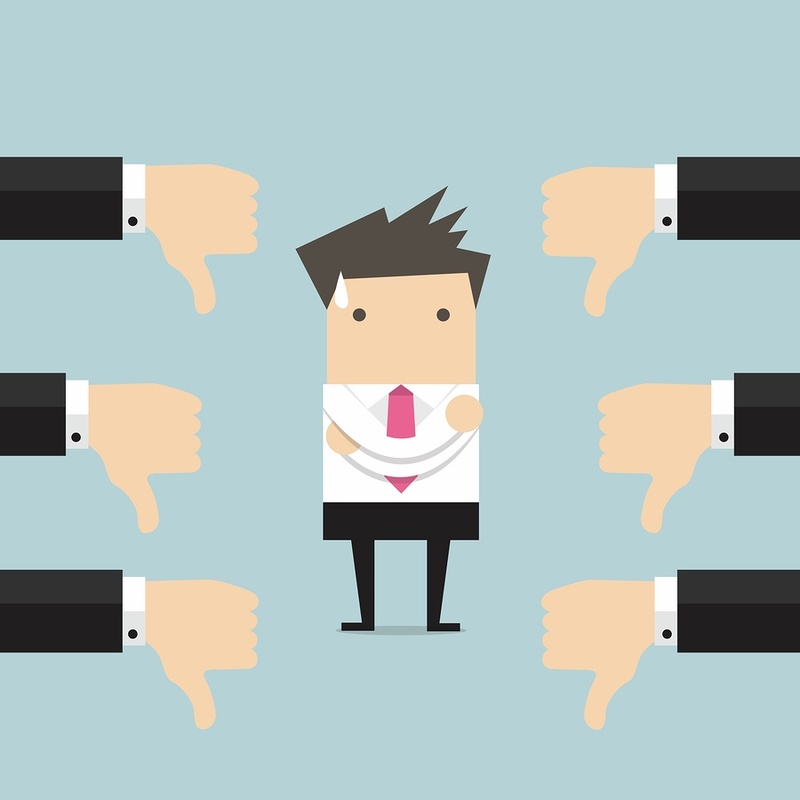 Does Your Commercial Carpet Cleaning Company Get a Thumbs Down? Some Facility Managers delay having their carpets professionally cleaned because they are trying to save some money stretching the time in between cleanings. Other Facility Managers may try to save money by contracting with the cheapest commercial carpet cleaner they can find. All Facility Managers are interested in cutting costs and saving money, however, delaying carpet cleaning too long and contracting with a 'thumbs down' carpet cleaner will cost much more than it saves. Why? Because your commercial carpeting is a pricey asset. Bring on the wrong carpet cleaning company or delay maintenance too long and you can get swept up in a costly cycle or replacing facility carpets much more frequently than would be necessary with adequate carpet maintenance. Commercial carpeting is designed to hold up to heavy use and even take a beating, but it requires regular scheduled cleaning to keep it looking its best and even stretch its lifespan. That’s why nearly all carpet manufacturers require regular cleaning as part of their carpet warranties. So regular cleaning is critical but equally critical is WHO does the cleaning. Commercial carpet cleaning companies that offer too good to be true pricing should serve as a giant red flag. Why exactly can they price their services well below the norm? Sure, a reputable, professional commercial carpet cleaning company costs more, but your rock bottom priced cleaner could end up costing you even more than you think. Partner with the right carpet cleaning company and you can keep your facility looking great throughout the year. But if you end up with one of the carpet cleaning companies that get a big thumbs down, you might end up spending money replacing carpet much sooner than needed. What do the worst carpet cleaning companies do to put your facility and your carpet at risk? Effective commercial carpet cleaning requires a level of training and knowledge to protect your carpets and deliver the best results. Carpet cleaning technicians should understand how to use equipment most efficiently, proper chemical use, stain treating, safety and more. If your cleaning company goes through employees faster than you can finish lunch or is charging you a significantly lower than average price, the chances are, they are not spending the time and resources to adequately train and screen every new hire putting you, your employees, your carpet and your facility in jeopardy. Carpet cleaning is a science and has made huge strides over the years. If your carpet cleaners are using the wrong approach or dated carpet cleaning methods like Bonnet carpet cleaning, they are not going to protect your carpeting or give your carpets the deep, effective cleaning they require. Bonnet cleaning is far less effective, harder on carpets and in many cases, may even void your carpet’s warranty. A professional commercial carpet cleaner should have a heavy duty, truck mounted hot water extraction carpet cleaning machine-- the deepest, highest quality clean available. Not all carpet cleaning methods require chemicals, but they have their place in cleaning, stain removal and freshening. Used correctly, carpet cleaning solutions and chemicals can help you get the results you want and deep clean your office carpets. Still, when carpet chemical solutions are overused or misused, you can damage carpets and even create unnecessary exposure in your facility. In order to protect your carpet, facility and its occupants, a carpet cleaning company must be knowledgeable and cautious with the use of chemical solutions. Nothing makes carpets look worse than obvious staining. No matter how good the rest of your facility may look, it is impossible to mask stains in the middle of otherwise clean carpets. As a Facility Manager, if you notice stains in your carpeting, you should attend to them quickly. The sooner you treat stains the more likely they can be removed. Ideally, your carpet cleaners can spot treat stains in between regular deep cleanings. But if you partner with an inexperienced carpet cleaning company or get a poorly trained technician, you can risk making stains and odors potentially worse by treating them incorrectly. Commercial carpeting is designed to stand up to heavy use and daily wear and tear, but it can be damaged by overzealous carpet cleaning or using the wrong methods for the wrong carpets. Inexperienced carpet cleaning companies are sometimes too rough on carpets. Approaches that use too much scrubbing, abrasion and agitation, like Bonnet cleaning, wear at your carpet’s fibers. This can prematurely age carpets by damaging fibers leading to tears, pulls and even a dull, uneven appearance. Not only that, this aggressive cleaning doesn’t get your carpets any cleaner than more appropriate, safer methods. If your commercial carpet cleaning service is using old or damaged equipment, it can be costly, ineffective, dangerous and waste resources. Carpet cleaning is only as good as the equipment used to do it so if your carpet cleaners are using the wrong equipment or poorly serviced and maintained equipment, you are not getting the deep clean and value you deserve. The right carpet cleaning company has professional grade equipment. Carpet cleaning has made tremendous advancements and the old modes of carpet cleaning just cant keep up with newer, emerging technologies. Not only do current methods clean better and more efficiently, they are easier on carpets and offer quicker drying times. Professionalism and best practices are both critical components of effective commercial carpet care. But how do we quantify professionalism? First, in order to become adept at the work you do, you must be experienced. While everyone starts new, it isn’t likely you want an inexperienced carpet cleaning company cutting their teeth in your facility. Likewise, companies that are experienced and do a higher volume of cleaning can afford to invest in new equipment and better training. Likewise, if a prospective cleaning company cannot show you proof of solid insurance coverage, run the other way. Finally, a good indicator of professionalism and best practices are voluntary industry certifications like the ISSA’s CIMS. Carpet cleaning companies and janitorial companies that have met the requirements of professional certifications like the ISSA’s CIMS have already had their operations and practices scrutinized. And even better, these highly experienced and professional carpet cleaning companies aren’t even more expensive than start ups and such because they operate at a scale where they can often offer the most competitive pricing. Carpet offers a great look and feel in your facility but it does require maintenance. In partnering with cleaning companies that adhere to best practices, you can keep your facility carpet looking great and add years of use. Seen as an investment in the image and cleanliness of your facility and an investment in avoiding costly replacement, periodic carpet maintenance is a worthy undertaking. At Stathakis, we pair effective, responsive, solid carpet cleaning and maintenance with a drive to be the best building services company in Southeastern Michigan. Our commercial carpet cleaning services are customized to the needs of your individual facility. We use a number of modern, effective carpet cleaning technologies in order to offer you the solution that is best for your facility, your carpet and your budget. Our state of the art carpet cleaning methods including truck mounted carpet cleaning, portable machine carpet cleaning, low moisture carpet cleaning, dry carpet cleaning all designed to get your carets cleaner than they’ve ever been. Improve your carpet’s appearance and extend its lifespan. For more information on how you can keep your floors cleaner than they have ever been, please contact Matt Brown, Stathakis Special Projects Manager at #800-278-1884.